Links are NOT allowed. Format your description nicely so people can easily read them. Please use proper spacing and paragraphs. A man is stabbed by a robber on the run after pushing his coworker and his coworker’s new fiance out of the way. As he lays dying, bleeding on the ground, he hears a voice. This voice is strange and interprets his dying regret of being a virgin by giving him the [Great Sage] unique skill! Is he being made fun of !?! This Light Novel is darker, have a lot of conspiration, corruption, Collusion, Nepotism, MC and his friend is less Over Power and their opponent (antagonist) reaction toward MC and his subordinate is way blabbing and annoying than the Web Novel Version, the Great Sage is less competence and almighty than in Web Novel thus make the MC more dependable, there's almost never any character development on MC and his subordinate since their personality is cliche and sometime you'll just felt annoyed by MC since he is way too soft hearted. Well let me start by saying this : I am currently up to date with the official Yen Press volume 3 of the light novel. 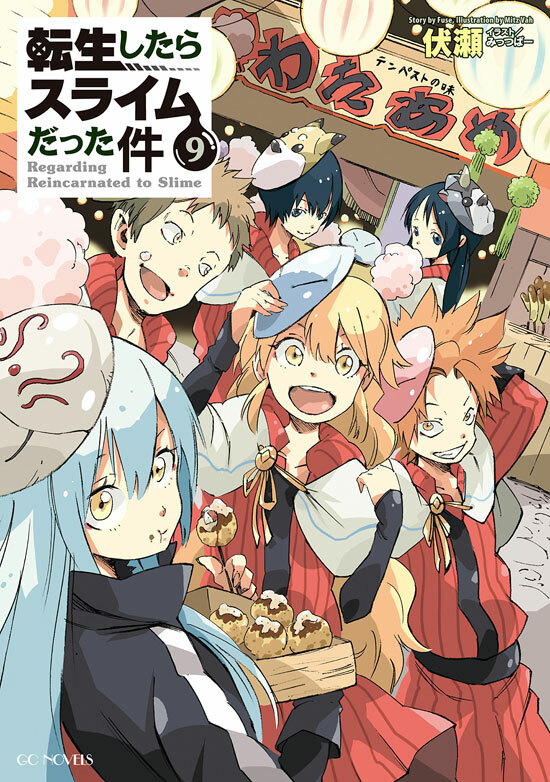 I found out about "That Time I Got Reincarnated as a Slime" through the official manga release of Yen press which I was simply awe struck by 1. the amazing art and 2. the amazing story! I totally read through everything currently out (7 volumes) and then also chapters 36-45 of the manga that are not yet collected/out officially. Now, that said... I was never into "Novels"... more>> or per say even "Books" in general. I was always the type that needed something to have a visual of (Being first and foremost into Anime then manga) but otherwise the closest I got to "books" would be Audiobooks. So you can imagine that this being officially my first "Novel" to begin with means that it was special to me. I simply can't say enough how much I like this official translation of the light novel and I am sure it will be the first of many light novels I get to read due to this! Basically, I wanted to get "more info" and dive into things further than the manga did, and that's pretty much what I got! even though there were a few things I think were done better in the manga (Mostly shizu related) while the manga to my knowledge is an adaptation of the light novel as well, I still can say I can't wait for the next light novel volume to come out even tho I know what happens next from the manga. Side note : I initially started with the web-novel version of volume 1 and it just felt off for me. something didn't "flow" or click as much... and it felt like a chore sometimes to read and I wasn't enjoying it as much. that might be due to the fact that it's the "web novel" and the per say "first draft" or just the fan translation quality or the early writing quality of the author... but this completely took a 180 with the light novel version!